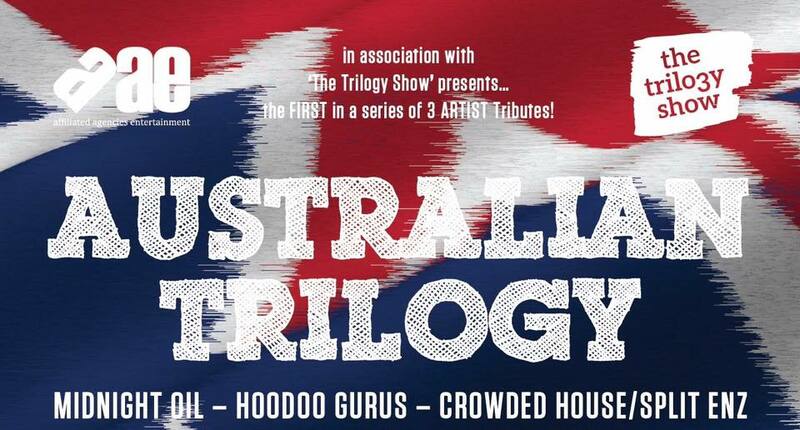 Some of Australia’s best musicians and vocalists, backed by a 5-piece band, will deliver one of the greatest tributes to Crowded House and Split Enz, the Hoodoo Gurus and Midnight Oil. Featuring original footage and video clips of these iconic Australian rock bands, this show will honour 3 bands with over 30 hits in 1 big live show! There will be a dance floor for this event.